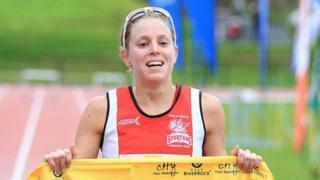 Aileen Reid will make her comeback from a back injury in this weekend's World Triathlon Series event in Cape Town. The Derry native discussed her recovery after tearing a disc at the end of last year. Reid aims to improve her consistency in the World Triathlon Series as she begins her build-up to the 2016 Olympic Games in Rio.